"C" IS FOR "CUNEIFORM" is a typographic poster commissioned by VSCO for their Cyclopedia series. A primary use for written language deals with the bureaucracy of civilization. 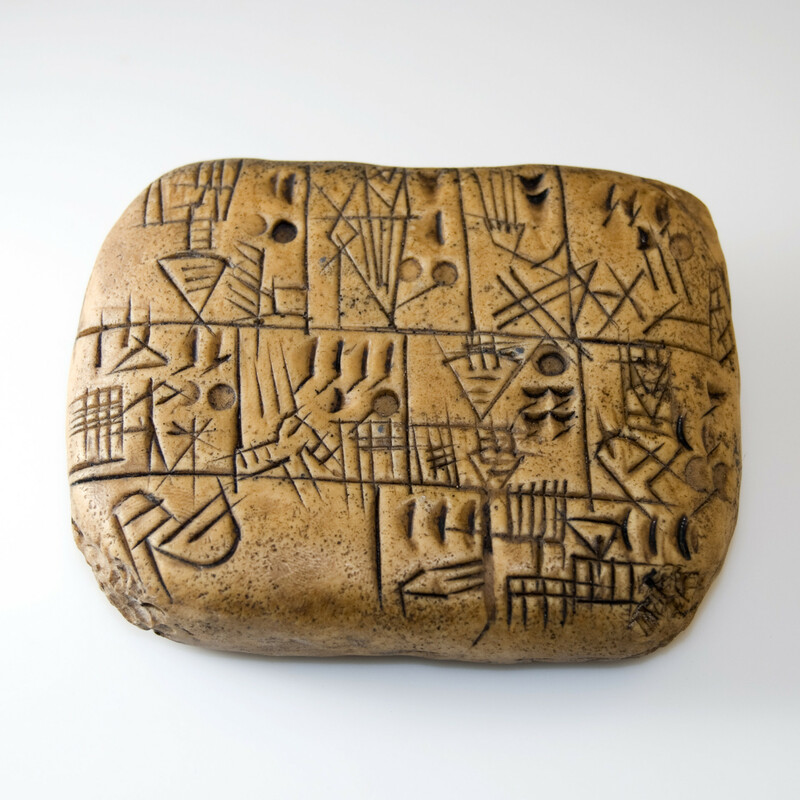 Much of our knowledge about cuneiform, one of the first writing systems in the world, exist in tablets that were inventory lists. Beer was a subject of many of these records as well as another indication of civilization: beer is made as a byproduct of surplus wheat. 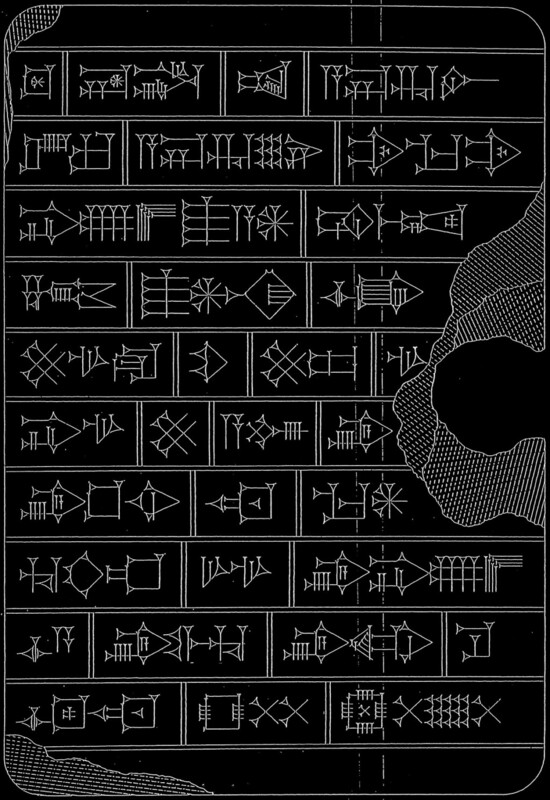 This imagined tablet for VSCO features Sumerian and Akkadian words related to beer, such as "mash," "foam," "jug," and "barley." The fact that these words were invented signals a moment when humans moved from a migratory existence to a settled and agricultural one. 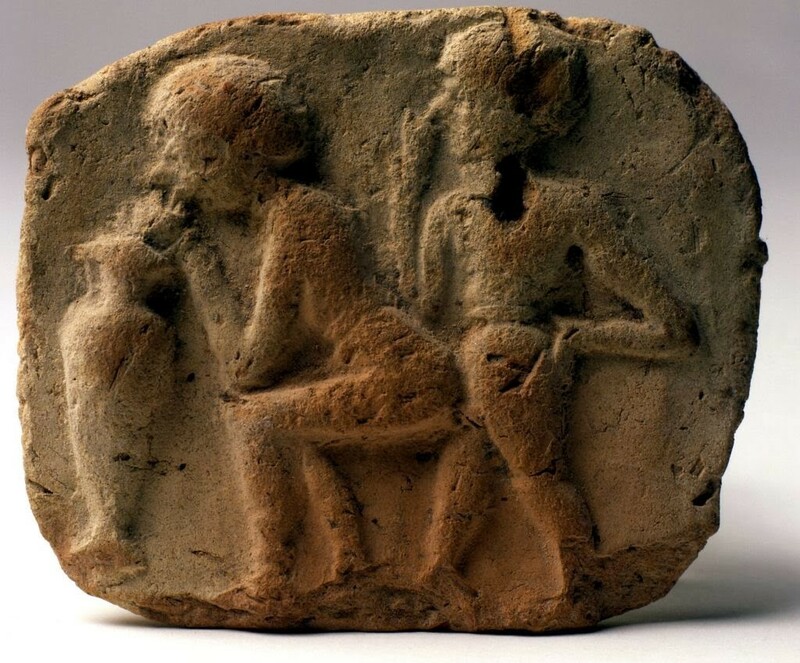 Humans started organizing amongst themselves, and that early culture produced a drink (and activity) that also brought people together.